The user indicated in Subject: just enabled the scheduled task (Start menu\Accessories\System Tools\Task Scheduler) identified by Task Name. A task must be enabled in order to run at its scheduled time. This is an important change control event. See related events for changes to Scheduled Tasks: 4698, 4699, 4601 and 4702. 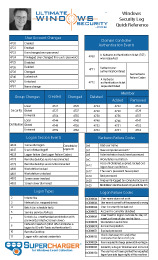 Logon ID: a semi-unique (unique between reboots) number that identifies the logon session. Logon ID allows you to correlate backwards to the logon event (4624) as well as with other events logged during the same logon session. Task Name: the name of the task that shows up in Task Scheduler.